John and Carmen wished to take advantage of the wedding to find their roots. In fact, this young American couple wanted to get married in their grandparents' native land: Sicily. Carmen's grandmother was from Marzameni and, during an holiday, the guys fell in love with this ancient fishing village. 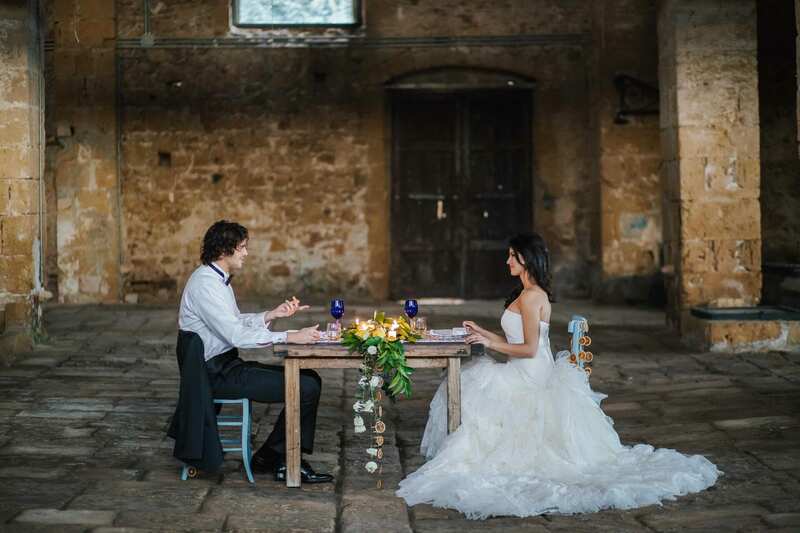 They could only choose the evocative Marzamemi Tonnara to celebrate their love! John and Carmen asked us to organize an intimate elopement. 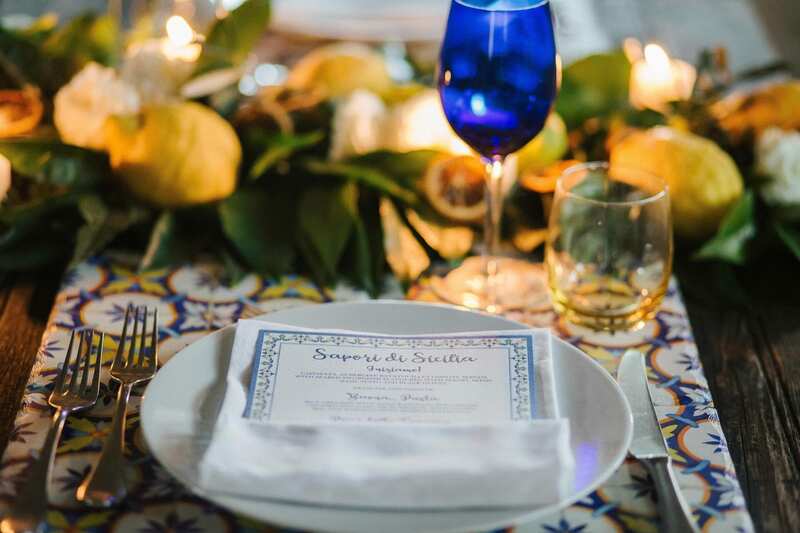 Not only they chose Sicily for their destination wedding, but they also wished this location to be fully part of the event, through its colors and flavors. To realize their dream elopement, we created a moodboard inspired by citrus and typical majolica, both in the drawings and the recurrence of bright colors such as blue, yellow and white. Of course, these same colors together with the greens composed the palette. The symbolic ceremony took place in the small, cozy Tonnara courtyard. 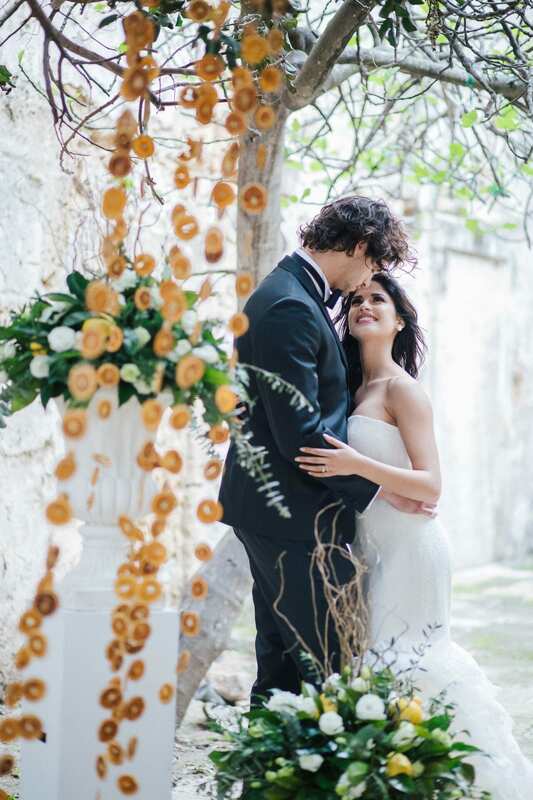 Carmen looked like a beautiful Sicilian girl thanks to her long dark hair and a vintage bridal dress. The guys exchanged their promises under a romantic decadent tree. Dried oranges hanged and two vases with lemon compositions enriched the setting. 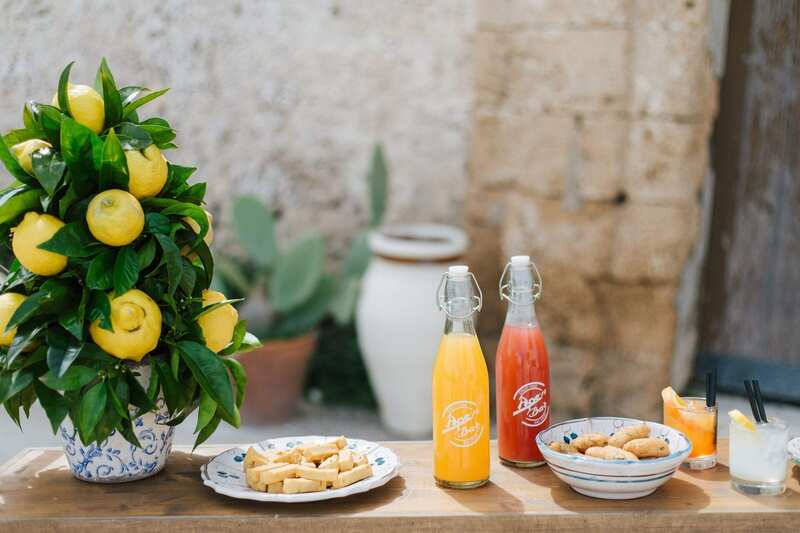 At the Tonnara entrance, on the famous Regina Margherita square, the Ape'n Bar offered the couple an aperitif composed of fresh drinks, granite and Sicilian street food. The reception was set in the heart of Tonnara: the majestic Loggia degli Scieri was all for them! Majolica tiles covered the wooden table; the glasses had the same colors of the palette, while the runner with lemons and candles gave the final touch to the setting. The menu was made of traditional Sicilian dishes. 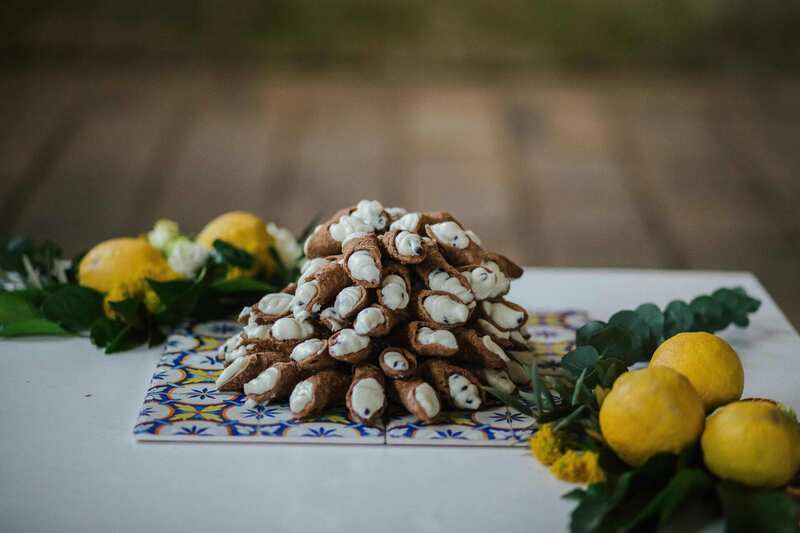 Instead of the classic wedding cake, the couple chose to "cut" a pyramid made of delicious mini cannoli. The sea and the colorful Marzamemi square were the ideal background for the couple shots. Finally, dances on the notes of a ‘30s band closed the event. Two young lovers, Sicily in the heart, an elopement with a retro touch: the sweet memory of this wedding will never leave us!